Welcome back! We hope you all enjoyed a wonderful Spring break with your families. Before the break we had our annual Sports/Game night at WSS and want to thank Mrs. Claudia Marino and Mrs. Christine Masata for chairing such a fun event. Dinner was delicious and everyone had a ball! We would like to thank those who attended our April PTG meeting and would like to remind everyone to attend our final PTG meeting of the school year on Monday, May 8th @9:30am. This is our thank you breakfast/meeting and there is a lot of information to share. Please do all you can to attend this very important meeting. We would love to see everyone at our meeting, including those who chaired events this school year. 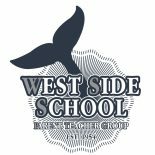 Please visit our website www.wssptg.com, like our Facebook page and attend our final meeting of the school year. Sports/Game Thank you: We would like to thank all those who attended Sports/Game Night. Everyone had a fun time playing games, enjoying Newcomb in the gym, and having dinner together! We would also like to thank Mr. Simon & President of our PTG, Ana Shammah, for their help in making this event run smoothly. Thank you Mr. Walsh for keeping our families engaged in a fun, new exciting game in the gym! Last but not least, our volunteers: Kim Testa, Karolina Kotek, Andrea Mannino, Natalia Milhim, Shannon, Kelly & Erin Gallagher Michael and Tommy Degnan & Robert Shammah. Thank you for all your help and once again making this another great event at West Side! (516-662-7344). Your help is needed to make this an event to remember! Talent Show: Our annual West Side Talent Show will be held on Friday, May 12th @7pm at the CSH High School Performing Arts Center (PAC). Please bring your family to cheer on our West Side kids. There will be a PTG sponsored Ice Cream Social for all, immediately after the show in the high school cafe. The Talent Show is less than a month away FRIDAY, MAY 12. We have a tremendous turnout of applications and the first rehearsal went great!! The quality of the show is up to you. The more you practice, the better the show will be. I will send to your email your assigned day for the May 3rd and 4th rehearsal by the end of next week. If you do not receive an email, please contact me immediately so I can check to see if I have the correct spelling of your email. Student Volunteers are not required to come to the 2 rehearsals at Westside, but are required to be there for the dress rehearsal at the PAC on 5/11. It is so exciting and the feeling in the air is electrified. Now it’s up to you to make the show a success…I know you will!! Talent Show 2017 Here we come!!!! Attn. 6th Graders: WS and Lloyd Harbor 6th grade get together-Join your future classmates for fun and games such as kickball, soccer, relay races, wiffleball…. Yearbook:Order your Yearbook TODAY!!! !Please click on the link below to order your children’s yearbook. Online ordering had been extended. Ordering will close May 8, 2017 but please do not wait!!! Please place your order ASAP!!! This entry was posted on April 21, 2017 by wssptg in Brief.